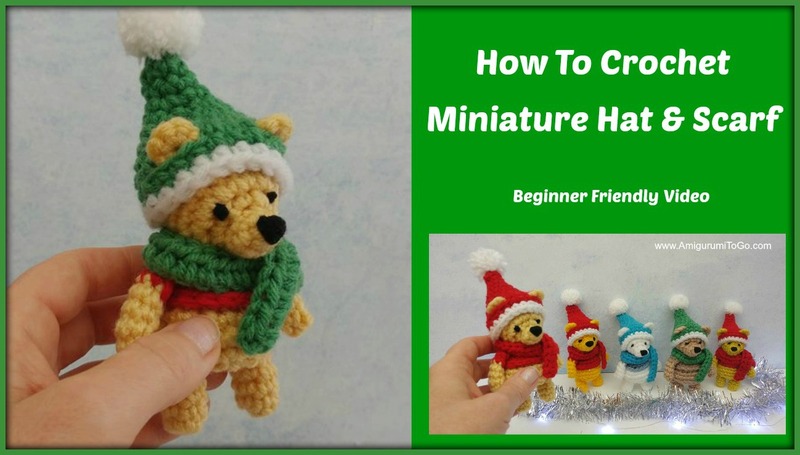 This is the hat and scarf I designed for my latest miniature bear. It has ear holes and a magical draping scarf. These are all made with worsted weight yarn so don't be afraid if the word miniature scares you! Can I Print Off The Pattern? Don't forget to subscribe to my channel and hit the bell icon to get notified when I upload something new. And please hit the thumbs up if the video helps you out at all. Thanks!